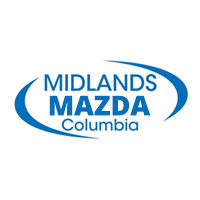 Once you know the benefits of leasing vs. buying your next car in West Columbia (like low monthly payments and the ability to upgrade after 36 months), consider leasing a Mazda6 from Midlands Mazda. Check out our current Mazda6 lease deals to find one that meets your needs, then contact us to schedule a test drive. If you still aren’t sure this model is the right leasing option for you, compare the Mazda6 vs. Toyota Corolla to see what the competition has to offer, or check out the rest of our Mazda lease deals to find your perfect match!